With EU support, physical infrastructure and the establishment of coastal fishery stations and in-land fish markets has been the priority. 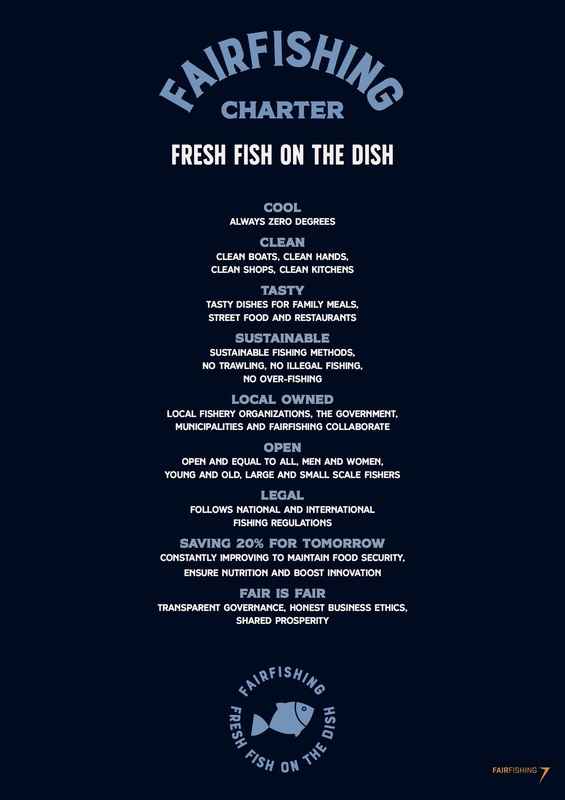 Now, FairFishing is entering a new phase with focus on sustainability along the whole fish value chain. This encompass sustainable business operations of the new facilities, improving the distribution and transportation of fish for a stable supply of fish, as well as increasing the demand for fish, thus supporting a growing fishery sector where supply and demand will mutual reinforce each other. One of the objectives is to improve the knowledge, handling and utilisation of fish along the value chain, and thereby securing that the fish is always cool, clean and tasty. 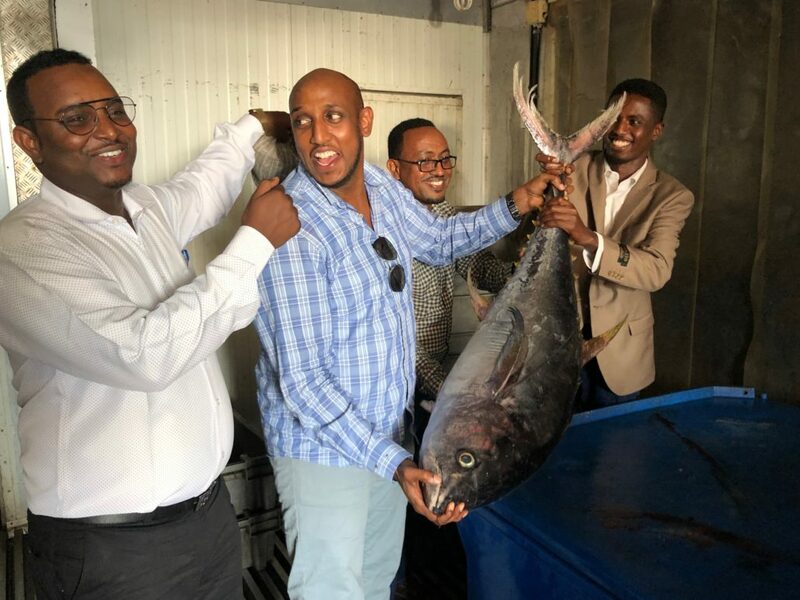 FairFishing has been supported by the Trafigura Foundation to implement a sustainability program in the region of Berbera, Hargeisa and Burco for the coming years. 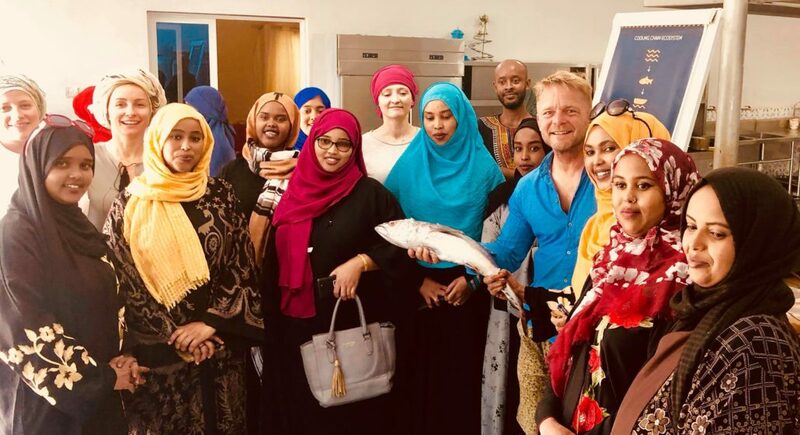 Some of the activities started already in autumn 2018, mainly with a training program called “Fresh fish on the dish”. 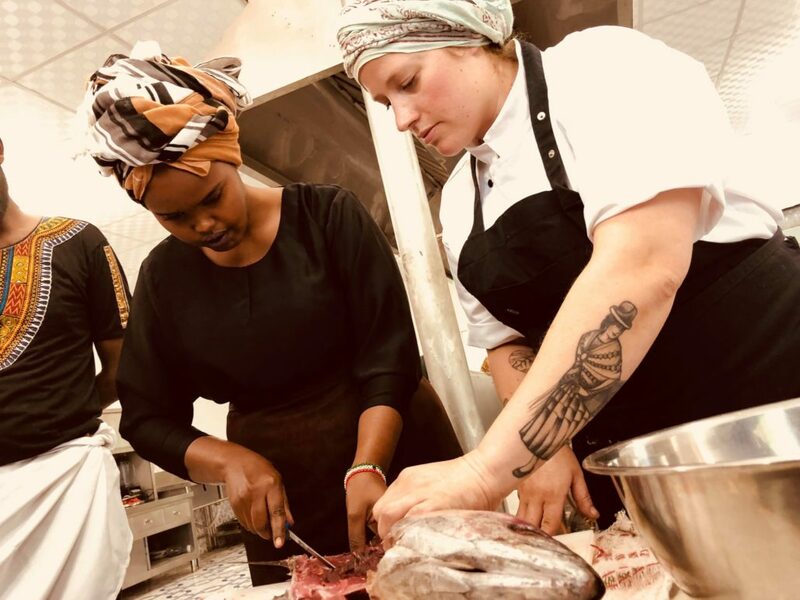 The trainings are led by the world-famous chef Kamilla Seidler who trains local chefs, fish vendors, fishers and women householders in processing-, utilising- and preparing fish. As one part of the sustainability strategy and new program, FairFishing has developed a dynamic charter reflecting the principles of a sustainable fishery value chain. The aim is to encourage and involve all stakeholders to work in a value chain which is fair to participants and deliver cool, clean and tasty fish.